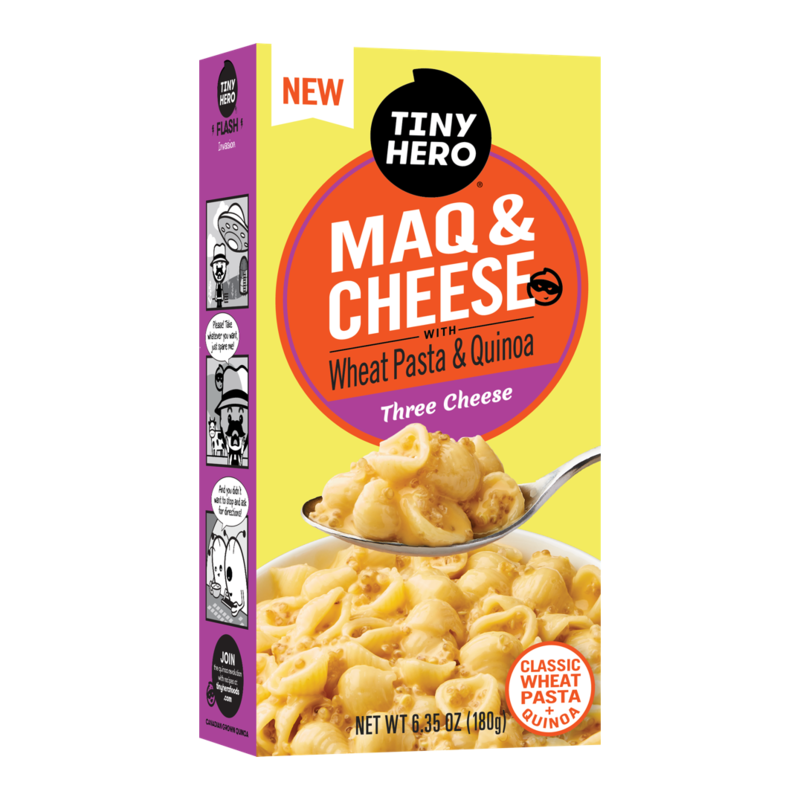 When life hits you right between the eyes and you need quick, wholesome nutrition that you and your family will eat and love, there is, drumroll please…Tiny Hero MaQ & Cheese. A go-to classic dish, with a Tiny Hero twist. 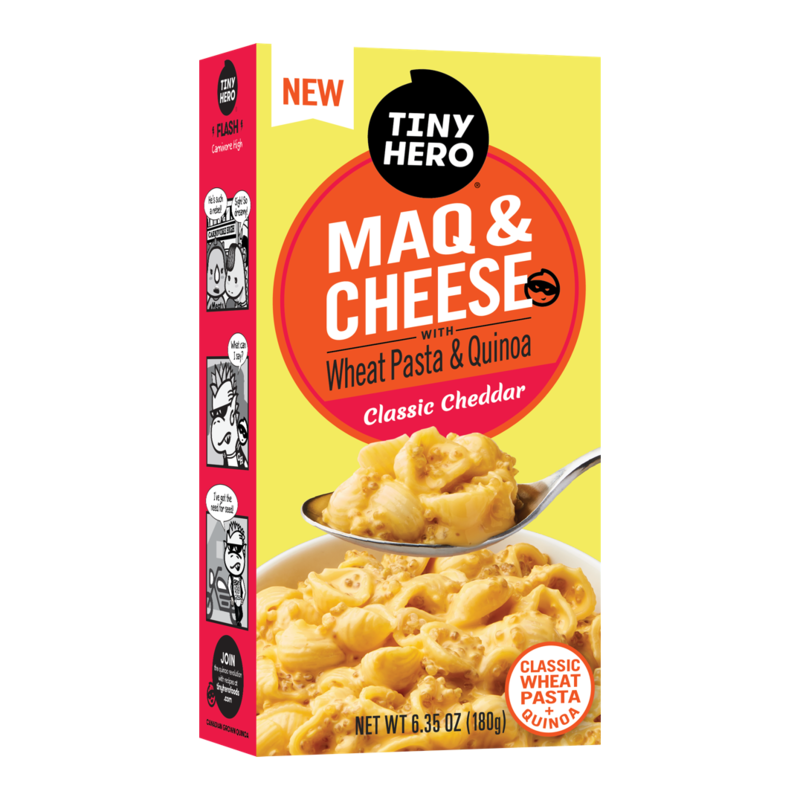 A rich, savory blend of real cheddar, parmesan, and Monterey Jack cheeses, combining forces with classic wheat pasta and our signature Golden Quinoa. 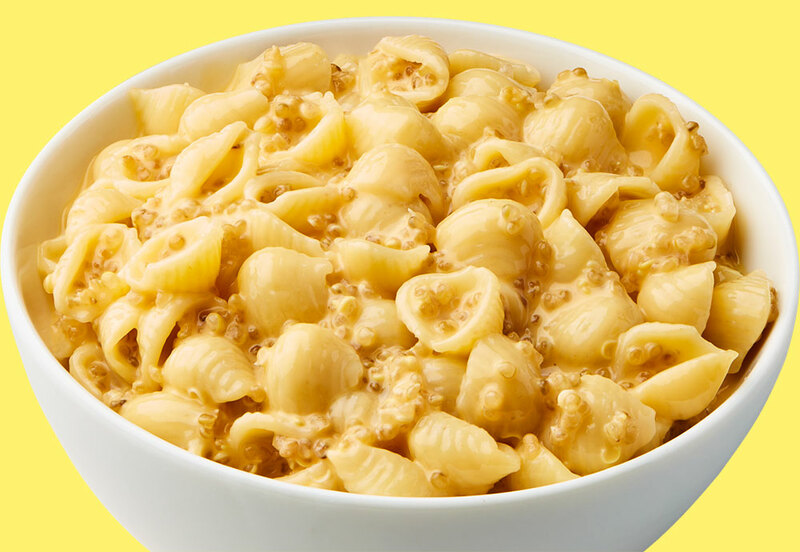 Subscribe to receive coupons, news and recipes. 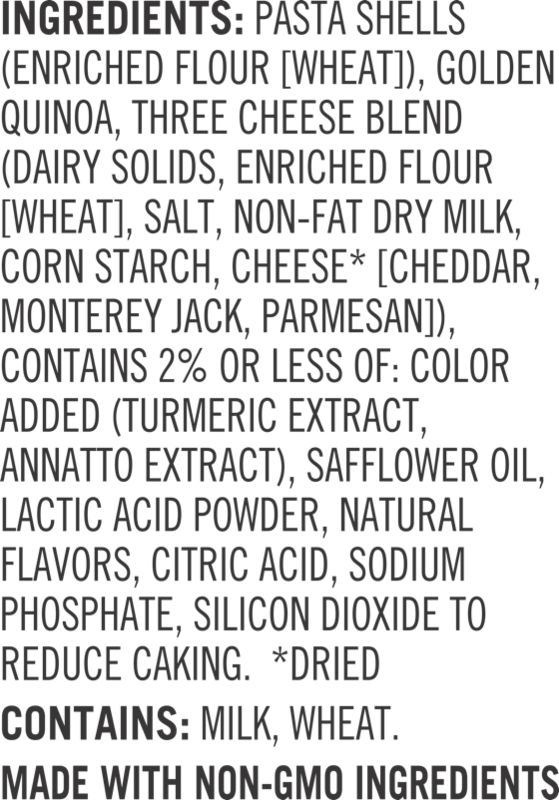 © 2019 Northern Quinoa Production Corporation. 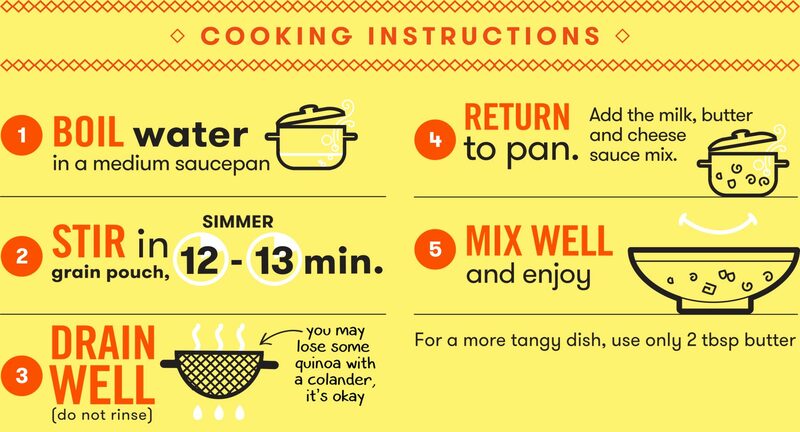 Subscribe to receive coupons, news, and recipes.